To access the current product catalog and pricing, please log in below. Landmark Distributing in Idaho Falls, ID, was founded in the late 1970s to meet the needs of the intermountain west's rural electronics dealers. Many were infrequently serviced from either the Denver, Salt Lake City, or Seattle distributors. 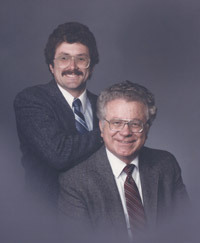 David Bailey and David Bailey Jr. saw this as an opportunity to fill a void, and Landmark Distributing began operations. The company has multiple strong lines of electronic product distributed throughout Idaho, Wyoming, Utah, and Montana.